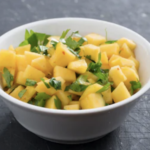 This not-too-sweet fragrant salsa provides a nice addition to fish or chicken. You can make up to 6 hours ahead. 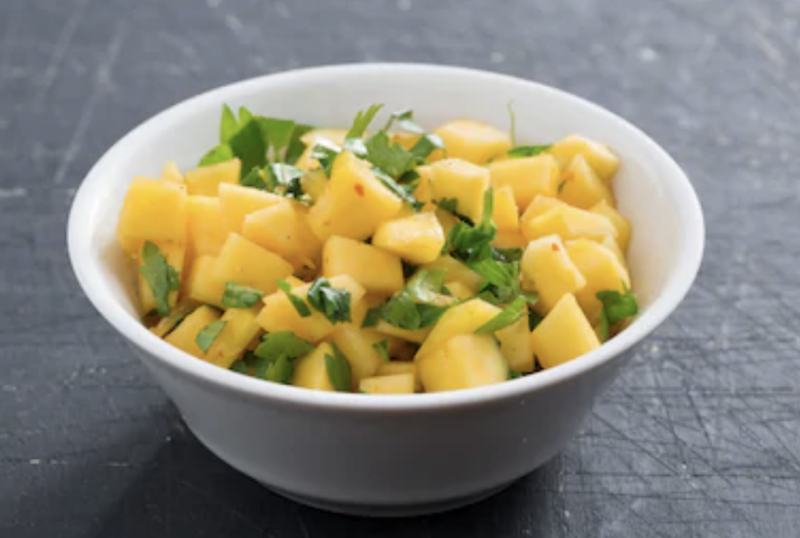 We prefer the Ataulfo mangos, which are typically sweeter and less fibrous, than regular mangos (aka Tommy Atkins mangos). If you want a little extra heat, add some fresh jalapeño!